Excel shortcuts will help you work on your spreadsheets more efficiently. For users with mobility or vision disabilities, keyboard shortcuts can be easier than using the touchscreen and are an essential alternative to using a mouse. (to move to a different tab, use access keys or the arrow keys) Select the active tab of the ribbon, and activate the access keys. To move to a different tab, use access keys or the arrow keys. Select the active tab of the ribbon, and activate the access keys. Ctrl + ↑ Shift + ! Ctrl + ↑ Shift + "
M then D: Define a name to use in references. 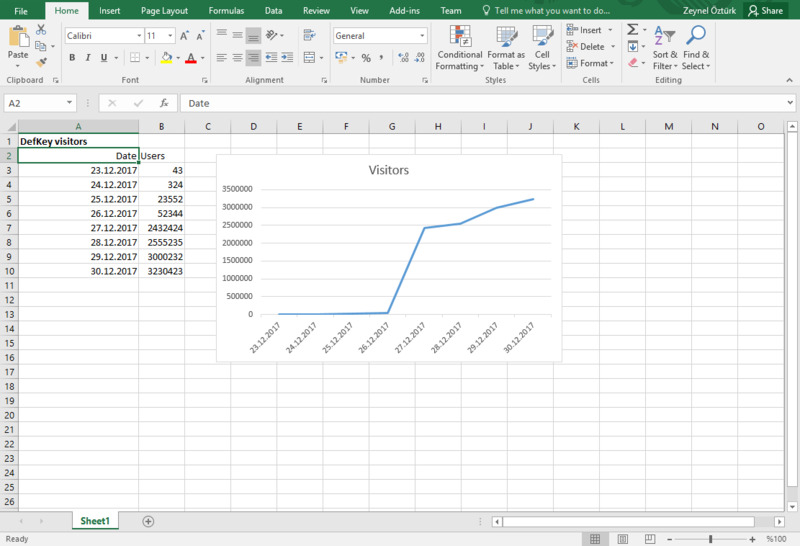 creates an embedded chart of the data in the current range. For example, Alt, W, P switches the worksheet to Page Layout view. Microsoft Excel is a spreadsheet application which features calculation, graphing tools, pivot tables and macro programming language. Initially released on 1987, Excel is a part of Microsoft Office. In addition to Windows, it also has support for macOS, Android and iOS. What is your favorite Microsoft Excel 2016 hotkey? Do you have any useful tips for program? Let other users know below.